Connecting landscapes with Mountain Lions - S.P.E.C.I.E.S. 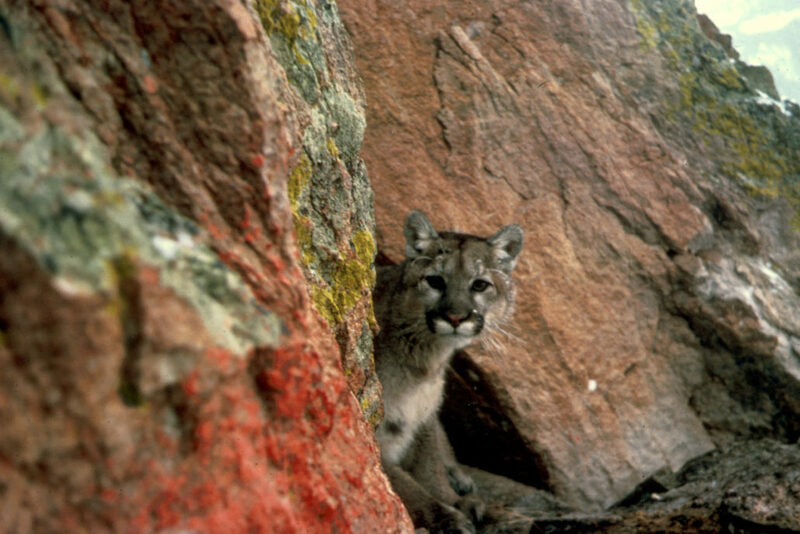 Like the wolf and grizzly bear, the mountain lion, cougar, or puma, North America’s largest cat, was once vilified as a pest to the livestock industry. Historically ranging from coast to coast, puma populations today continue to push eastward and reclaim areas they formerly inhabited, and as they do, they are nothing short of an ongoing conservation success story. Today however, no state has more of them than California. As encroachment of development into our wild spaces, increased demand for dwindling water supplies, and expanding transportation infrastructure, all threaten to further fragment (or separate) the state’s landscapes, can we look to the puma as a tool for implementing logical conservation strategies, and to protect wildness, water, and the ecological foundation that is essential to healthy human and wildlife communities alike? Join Anthony Giordano, local conservation biologist, wildlife ecologist, and founder and director of S.P.E.C.I.E.S, on Wednesday, November 2nd from 7 – 8pm for a FREE open-to-the-public presentation to learn about the ways humans and mountain lions can peacefully coexist. The event will take place on Wednesday, November 2 at 7pm at the Poinsettia Pavilion in Ventura. To reserve a place visit www.venturahillsides.org/events and click on the RVSP button.